Todd Tyminski, DC, DAIPM, plays an integral role at Total Health Physical Medicine & Rehabilitation Center in Florham Park, New Jersey. As an experienced chiropractor and the practice’s president, Dr. Tyminski strives to ensure that every aspect of care delivered to every patient is top-tier. 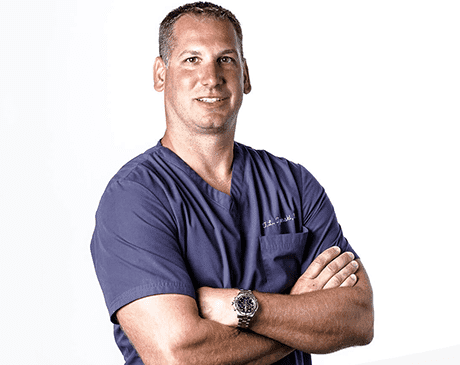 After graduating from Palmer College of Chiropractic, Dr. Tyminski joined the Association of New Jersey Chiropractors and the American Chiropractic Association. He is board-certified in chiropractic care and physical therapy and holds a diploma from the Academy of Integrative Pain Medicine. Additionally, he is certified in manipulation under anesthesia (MUA) and is a decompression specialist. With each patient he sees, Dr. Tyminski uses his extensive experience and broad knowledge to deliver quality care and help his patients achieve their health goals. In fact, he extends that commitment to quality to every aspect of operations at Total Health Physical Medicine & Rehabilitation Center. Through his role as president of the practice, he ensures that the practice’s operations empower every person on staff to give each individual patient the best possible care. When he’s not offering chiropractic treatments or helping Total Health run its best, you can find Dr. Tyminski with his wife and three kids. In his free time, he loves camping, coaching youth sports, riding ATVs, working on DIY projects, and, of course, cheering on his Giants.